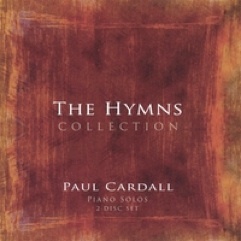 Christmas music is not new territory for pianist Paul Cardall. In fact, one of his early breakthrough recordings was The Christmas Box back in 1997, only to be followed by the more reflective and traditional Christmas Hymns album in 2004. So Christmas is Cardall’s third effort at presenting us with that special music for that special time of the year. But sometimes hearing a retread of the same carols can be enjoyable but not necessarily inspiring. That said, it barely takes over a minute into the latest Cardall yuletide creation for it to pass the goose bump test of inspiration of epical proportions. 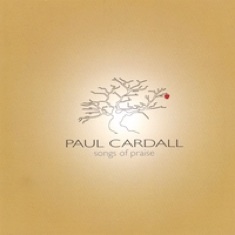 Paul Cardall’s moving yet never overstated piano playing is central on Christmas only to be supplemented by the production talents of Michael W Smith’s keyboard/musical director Jim Daneker. So needless to say there is a certain degree of MWS DNA buried within Daneker’s musical memory banks, and when brought together with Cardall’s piano it is magical. We hear this immediately on the opening track “Hark! The Herald Angels Sing” as the track opens with Cardall’s simple piano work only to be fully embellished and lifted into the stratosphere of Daneker’s arrangements. They complement each other perfectly. This is best heard by the slow building “Joy To The World” that once again starts with Cardall’s perfectly slow swaying rhythmic piano work as Daneker integrates with much detail. However, Cardall outdoes himself moments later via “O Holy Night” with the one and only CeCe Winans delivering a vocal rendition that will have tear ducts in action. Once again Daneker adds his magical arrangements only making this song a “trinity” of talents coming together in a most moving way. Lesser embellished carols include the gorgeous and less familiar “Once In Royal David City” that creates a whole different mood but nevertheless equally touching results. Cardall even presents two of his own stellar compositions, one of which includes the pure voice of vocalist Patrice Tipoki. Previously featured on A New Creation album, it was perfect to be featured here because if anyone can claim not to have heard the Good News then one listen to these lyrics erases that claim as the Gospel is made very clear of why God Emmanuel in the form of the Sweet Baby Jesus came to our struggling earth. And what a great way to follow up this song with “Away In A Manager” with Cardall’s soft lullaby piano work being up front and center only to conclude with the flowing tender “Silent Night” that will have the tears flowing too. With over seventy Christmas albums in the household, while it is a very special time of the year there are only so many versions of these limited number of options that an artist can touch upon. However, Paul Cardall, a wonderful producer in his own right, made the wonderful humble move of bringing in the arrangements and production values of Jim Daneker. Trusting his warm, uncomplicated piano interpretations in the hands of another was a great risk and praise God that he did. As a result this will be one of those very rare Christmas albums that will stand apart from its abundance of peers. 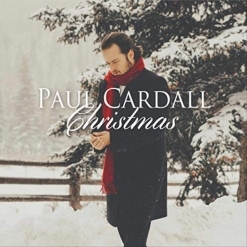 Sounding like a broken record these days, Paul Cardall may have outdone himself again, making Christmas not only one of the best Christmas albums in years, but also one of his best recordings to date.